Stealing your heart comes easy to the little cherubs of the big screen. Their innocent effervescence, the bright twinkle in their eyes, the sparkling smiles and their heart-warming antics make for a killer combo. The history of popular Hindi cinema is indeed replete with stories of charming child actors who, as part of many a critically and commercially successful film, have had the movie-going masses in thrall. But why is it that many of these talented boys and girls fail to make the grade once they step out of carefree childhood and into gawky adolescence? The transition from child star to grown-up actor, as Aftab Shivdasani once pointed out, is fraught with complexities. “Had Ram Gopal Varma not cast me in Mast, it would have very tough for me to make it,” he had said with disarming candour. Shivdasani had a hugely productive stint as a child actor and model, starting his career as a toddler of 14 months and then going on to debut as a nine-year-old boy in Shekhar Kapur’s smash hit Mr India (1987). But despite being a screen performer of well-above-average quality and notwithstanding the numerous Bollywood hits (Kasoor, Hungama, Masti and Acid Factory) that he has acted in, he has never quite managed to break into the big league. He is there, but not quite! Much the same fate befell Jugal Hansraj, who won our hearts as the wide-eyed illegitimate child in Masoom. After subsequently appearing in grown-up roles in Aa Gale Lag Jaa, Papa Kehte Hain and Mohabbatein, Hansraj called it quits and settled for a life behind the cameras as a director. He helmed Roadside Romeo, an animation film produced by Yash Chopra. The case of Raju Shrestha, better known to Hindi movie fans as Master Raju, has been infinitely worse. Beginning his acting career in Gulzar’s Parichay and Hrishikesh Mukherjee’s Bawarchi, he won a National Award as best child actor for his endearing performance in Chit Chor (1978) and a Filmfare Award for playing a fun-loving schoolboy, who flees his sister’s home where he is repeatedly reprimanded for neglecting his studies, in Kitaab (1977). But Raju had little luck once he grew up, and was consigned to playing supporting characters rather than lead roles. But that career move, eventually, was probably more out of choice than compulsion. As a little boy, he was a consummate scene-stealer. But as an adult, he simply didn’t have the screen presence to carry off pivotal roles. Another gifted actor who could not translate his popularity as a child star into a lasting career in mainstream Bollywood was Sachin Pilgaonkar. He made his acting debut in Marathi film Ha Majha Marg Ekla (This Path is Mine Alone, 1962). He was only four-and-a-half years old but the performance was good enough for a National Award. He was subsequently cast as a child actor in Hindi blockbusters like Jewel Thief and Brahmachari. As a grown-up actor, Sachin featured in several successful bittersweet dramas produced by Rajshri Films in the 1970s and early 1980s – Geet Gaata Chal, Balika Badhu, Ankhiyon Ke Jharokhon Se and Nadiya Ke Paar. He was a competent actor and a nifty dancer, yet he could not establish himself as a mainstream Bollywood star. Sachin played supporting characters in big banner films like Trishul, Sholay and Satte Pe Satta. He has since built a successful career as a producer-director of television shows and Marathi films. He has now also directed his first Hindi film, Jaana Pehchana, produced by Rajshri and due for release later this year. 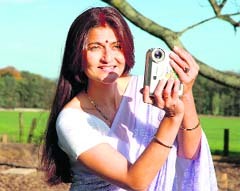 Sachin’s co-star in many Hindi films, Sarika, is a National Award-winning actress who has had a long, fruitful career in showbiz. Yet, stardom in the conventional sense has eluded her. In the 1960s and early 1970s, she was a leading child star (she sometimes played a boy on screen, going by the name of Master Suraj), appearing in films like Majhli Didi, Humraaz, Ashirwaad, Satyakam and Balak. Sarika, who turns 50 next year, made her debut in an adult role in 1975 with B.R. Ishara’s Kaagaz Ki Nao, co-starring another newcomer, Raj Kiran, and Geet Gaata Chal. She went on to play the lead or second lead in numerous Hindi films, many of which were essentially B-grade productions that did no justice to her ability as an actress. Virtually all through the first phase of her career, she was typecast as a westernised woman, a fact that severely restricted her growth. Sarika took a sabbatical from on-screen roles after marrying southern superstar Kamalahasan only to return when the marriage broke down. In 2005, Sarika was named the Best Actress at the National Awards for her measured performance in Rahul Dholakia’s Parzania. Two child actors who struck an instant chord with the masses in more recent times – Shweta Prasad and Kunal Khemu – have found out to their consternation exactly how tough the going can get when they leave their childhood years behind. Shweta, playing a double role of two diametrically dissimilar sisters, was an absolute delight to watch in Vishal Bhardwaj’s debut film, Makdee (2002). The spontaneous performance fetched the actress, then only 11 years’ old, a National Award and another critically acclaimed film, Nagesh Kukunoor’s Iqbal. However, she did not make much headway in Bollywood and had to shift instead to the Telugu movie industry. Kunal Khemu made his debut as a child actor in the well-received TV serial, Gul Gulshan Gulfam, directed by Ved Rahi. He then featured in a string of Bollywood films as a child actor – Sir, Hum Hain Rahi Pyar Ke, Raja Hindustani and Zakhm. He landed his first big screen role as an adult in Mohit Suri’s Kalyug and has since acted in films such as Traffic Signal, Dhol, Golmaal 3 and 99, among others. Yet, he remains on the fringes of genuine stardom. Hansika Motwani, another former child actress who was seen in the super hit Hrithik Roshan-starrer Koi... Mil Gaya but had to move away from Bollywood to stay in circulation is an established star down south. The 20-year-old has already acted in 20-odd films in multiple languages. She did do a Hindi film, Aap Ka Suroor, opposite crooner Himesh Reshammiya, in 2007, but it did not give her a ticket to stardom in Bollywood. Hansika’s Telugu debut was in Desamuduru, a film directed by Puri Jagannadh (the man behind the Amitabh Bachchan starrer Bbuddah Hoga Tera Baap). Earlier this year, she entered Tamil cinema with Mappillai, in which she was cast opposite Rajinikanth’s son-in-law, Dhanush. The film failed to click despite a strong opening. Hansika’s next Tamil release, Engeyum Kadhal, opposite Vijay, also failed to set the cash registers ringing. She is now pinning all her hopes on the upcoming film, Velayudham, also co-starring Vijay, alongside Genelia D’Souza. It remains to be seen whether Hansika will be able to work her way back into Hindi films. Alankar Joshi, who, as Master Alankar, played the young avatar of the Amitabh Bachchan character in Yash Chopra’s Deewar, was a regular fixture as a child actor in Hindi films of the 1970s. He acted in more than 100 films but faded away after he grew up. 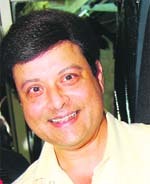 His sister, Pallavi Joshi, emerged as a leading television star of the 1990s, while Alankar turned his back on showbiz and entered the domain of computer software. Alankar isn’t obviously the only child star of the 1970s to go into oblivion. Master Satyajit and Junior Mehmood, too, have never been heard of or seen since their careers as child actors came to an end. As they gained age and height, stardom deserted them. Around the time that Junior Mehmood held sway over millions of hearts as a child comedian Baby Sonia was by far one of Hindi cinema’s best-loved girls. She had the entire nation eating out of the palm of her hand as she gave a voice and a face to the ‘Bachche man ke sachche’ number in the 1968 family drama, Do Kaliyan. Baby Sonia, Bollywood’s very own Neetu Singh, acted in many other films, including Dus Lakh, Waaris, Pavitra Paapi and Ghar Ghar Ki Kahani before assuming the persona of a full-fledged diva and forming a super-successful on-screen pairing with her future husband Rishi Kapoor. The latter, too, had started as a child actor in his father Raj Kapoor’s ill-fated magnum opus, Mera Naam Joker. But Rishi’s career moved into top gear following the runaway success of Bobby, also produced and directed by his dad. He did not, however, need his father’s backing for long: Rishi Kapoor quickly established himself as one of Hindi cinema’s most popular romantic heroes of his era.